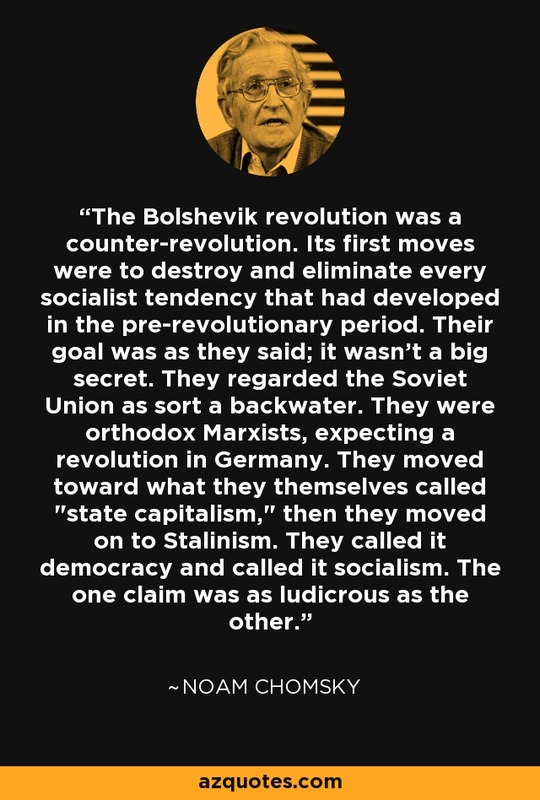 The Bolshevik revolution was a counter-revolution. Its first moves were to destroy and eliminate every socialist tendency that had developed in the pre-revolutionary period. Their goal was as they said; it wasn't a big secret. They regarded the Soviet Union as sort a backwater. They were orthodox Marxists, expecting a revolution in Germany. They moved toward what they themselves called "state capitalism," then they moved on to Stalinism. They called it democracy and called it socialism. The one claim was as ludicrous as the other.